The next "Panday" movie of Sen. Ramon "Bong" Revilla, Jr. might be filmed in Surigao del Norte. In his send-off press conference held recently at the VIP Lounge of Surigao City Airport, Revilla said he is eyeing to film the movie sequel in the province after seeing its unique tourist destinations. 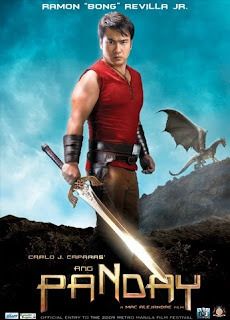 Revilla added this is one way of thanking the Surigaonons for their unending support not only to his political journey but also to his movie career. “In my own way, I can help promote the tourist destinations here in your province,” Revilla said. With this, local officials of Surigao del Norte considered this as one way of promoting the tourism industry of the province, touted as the “Island Adventures” of the Philippines. Revilla further promised to bring his family in the world famous Cloud 9 in General Luna, Siargao Island to experience surfing in one of the world’s best beaches with perfect waves for surfers. The actor-turned politician also vowed to help in everything he can to promote the tourist destinations of the province. He even said, he is willing to serve as an image model to promote the Cloud 9 in General Luna, Siargao Island, known as the Surfing Capital of the Philippines. Meanwhile, Sen. Revilla donated some Php500,000 to Caraga Regional Hospital in Surigao City as part of his advocacy to improve public health nationwide, through the “Kap Medical Assistance Program,” providing help to the indigent patients of Surigao del Norte through his Kalusugan Ating Pangalagaan (KAP) medical assistance program, in a ceremony held Friday, in time with the “Bonok-Bonok Maradjaw Karadjaw” Festival of the city of Surigao, where he was invited as Guest of Honor. From his Priority Development Assistance Fund (PDAF), Sen. Revilla allocated Php500,000 as medical assistance fund for the needy patients in the province.